Use Rewards for Would You Survive? Chuckle at danger. Ghost cats and alien robots hold no fear for you. 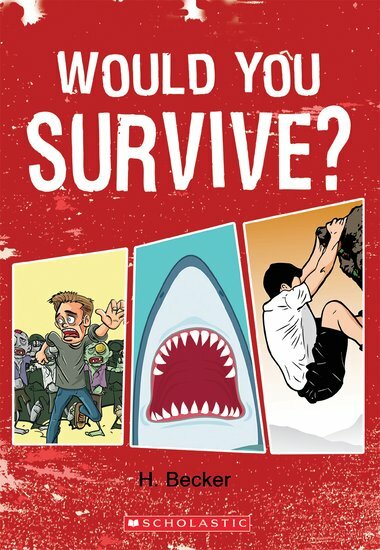 With this silly survival guide in your hand, the only danger you really need to worry about is laughing your head off. Ouch! Would you survive an attack by super-smart robots? Intergalactic microbes? Ghost cats? Or the scary Sharknado? If the answer is ‘not sure’, read this book now! See how you stack up against evil geniuses, giant scorpions and the local bully. You’ll even get to rate your bravery, confidence and musclepower. Just keep your security blanket nearby!